Through focusing previous business experience, IT & Communication skills and in-depth knowledge of the wider aspects of the railway collecting arena, we rapidly became world-wide leading specialist auctioneers of transport related memorabilia. We formed the Limited company in 2008 having previously traded as an LLP.  We are currently working with D.B Cargo UK and Great Western Railway with disposing of some of their Nameplates and Worksplates and have worked in the past with Railway Children, HSBC leasing, Freightliner Group, Chiltern Railways, The A1 Steam Locomotive Trust and North Yorkshire Moors Railway. Why list your railway memorabilia with us? GW Railwayana are proud to have been serving both buyers and sellers for 24 years, we have always been at the forefront of technology and innovation and our mission statement is to remain so. We take a hands on approach from collecting your item, catalogue production, web design & selling your item. We maintain quality control of all of these aspects in house. Read Our Mission Statement and our Customer Reviews to find out more about our company. Simon spent over 30 years in B2B technical sales, rating customer service as number one priority. This ethos is followed throughout GW Railwayana Auctions and is reflected in the company Mission Statement. 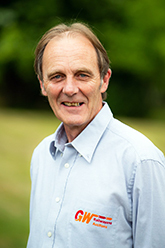 He is also a consultant for Millers Antique guides. Simon is also one of the leading Railway Clock experts. His interests, besides railways, is restoring and riding Suzuki and Ducati Motorcyles which have been featured 3 times in Practical Sportsbikes magazine. Julian has recently retired from the Petro-chemical industry after completing a career of over 35 years. He has a life time passion for Railwayanna and joined GW RAILWAYANA AUCTIONS in late summer 2018 and has a wealth of experience in both buying and selling Railwayana. He has been a collector of signalling items, cast iron signs and railway lamps since the 1970s and is a specialist in this field. 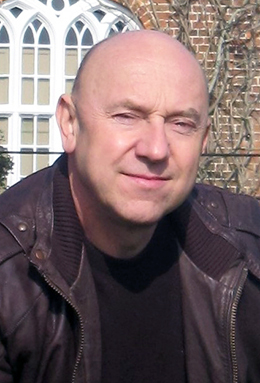 Julian was one of the first to use his own Web site using digital photos on the internet to sell off his surplus signalling items named, ‘The LineMan Hut’ and has written occasional articles over the years for local publications and was invited to speak about collecting railway items on Radio Norfolk during the 1980s. G.W.Railwayana Auctions is a privately owned Limited Company formed in 1995 as a joint venture by two enthusiastic collectors of Railwayana. Through focusing on business experience, IT & Communication skills and in-depth knowledge of the wider aspects of the railway collecting arena, the company rapidly became world-wide leading specialist auctioneers of transport related memorabilia. 2000 First Railwayana auction house to offer computerised invoicing. 2014 GW Railwayana Launch on the-saleroom.com becoming the first and only specialist Railwayana Auction house to offer real time live Bidding. 2014 New Html 5 Website launches with database driven catalogue pages and a fresh new Logo and look. 2015 Move from two to three annual sales. 2016 Tony and Karen retire from the business and Simon and Clare take full control. 2016 Fully integrated office system purchased including auctioneers live link on sale days. 2016 Payments to vendors reduced from 30 days to a maximum of 14 days. 2016 Viewing area at auction venue extended. 2018 Julian Hanwell joins the team to head up GWRA "Buy & Go Auctions"